I live in Florida. You’d think that I’d have a symbiotic relationship with sunscreen – that I’d put it on every time I walk outside – that I own stock in sunscreen production companies – that I never expose any of my skin to the sun. Well, you’d be wrong in that thought. Until the last decade or so, I hardly ever wore sunscreen. Growing up, my idea of the perfect sunscreen was a bottle of baby oil with a few drops of iodine in it. I was perpetually in search of the perfect suntan. And like many others of my generation, I endured more than a few sunburns in my day. There’s nothing quite as painful as a hot shower on freshly sunburned skin! As a triathlete and a parent of three really active kids, I do spend a considerable amount of time in the sun. Luckily, so far I have not had any conspicuous-looking areas or any skin cancers. Given that I know other 40-somethings who regularly have things cut off of their skin, I know that I’ve been fortunate. I’ve learned that it’s a good idea to wear a hat to protect my scalp due to my thinning hair and to wear copious amounts of sunscreen. It’s exceedingly rare that I don’t slather myself up with sunscreen anytime that I’m outside – sunny or not. But to be honest, I’ve never really put much thought into what I’ve been putting on my body. Coppertone. No Ad. Hawaiian Tropic. Generic bottle from CVS. Whatever was available. Over the past couple of years, I’ve even used a fair share of the spray sunscreen. Several weeks ago, I was contacted by a company that makes and sells organic sunscreen – Block Island Organics. I agreed to do a product review, and then set out to do a little research as part of the due diligence for my review. According to the American Academy of Dermatology (www.aad.org), there are just three things one should look for in a sunscreen: that it covers the broadest spectrum available (protecting you from both UVA and UVB rays), carries a SPF of at least 30, and is water resistant for at least 40 minutes. Luckily for me, all of the sunscreens I’ve used in the last year or two meet each of those recommendations. What I didn’t realize was exactly what goes into a bottle of sunscreen. Here’s a few names: Avobenzene, Homosalate, Octisalate, Octocrylene, Oxybenzone. Those five words are certainly a mouthful of really complicated-sounding chemicals. AAD’s website said that any ingredient in sunscreen has to have been approved by the FDA for use on humans. That approval implies safety, no? Therein lies the fundamental question – and the premise behind Block Island’s products. There are groups out there that claim that many of the chemical compounds in commercially produced sunscreens are hazardous not only to humans, but to the broader environment as well. None of Block Island’s products contain any of the similar chemical compounds that you’d find in most commercially available sunscreens, and that is based, at least in part, upon research conducted by the Environmental Working Group (www.ewg.org). The EWG tests and reviews lots of chemical compounds and rates them based on their level of hazard to people and the environment. Remember Oxybenzone? It’s one of the main active ingredients in sunscreens – certainly in the one that has been my “go to” sunscreen (Coppertone Sport SPF 50). Well, according the EWG, Oxybenzone is a “high hazard”. EWG references research done by the Centers for Disease Control that indicates 97% of American bodies are contaminated with this chemical that could show reproductive and developmental toxicity. Oxybenzone also appears to have some allergic and immunotoxicity risks. The bottom line, according to EWG, is that this chemical is just one that is included in sunscreen that isn’t so good for you. Block Island sells a variety of goods. They sent me a bottle and some sample packs of their SPF 15 sunscreen. The bottle contains 6oz and retails on their website for $23.99. They also sell SPF 30 (for $25.99) and SPF 40 (for $27.99). The product is white in color and does not really have a fragrance at all (if you’re looking to smell like a coconut, this is NOT the product for you). It’s thicker than most commercial sunscreens. In fact, compared to the liquidy-lotiony feel that commercial sunscreen has, I’d describe Block Island as almost a paste. Well – that might be overdoing it….it’s thicker, but not so thick that you need a putty knife to spread it or anything. 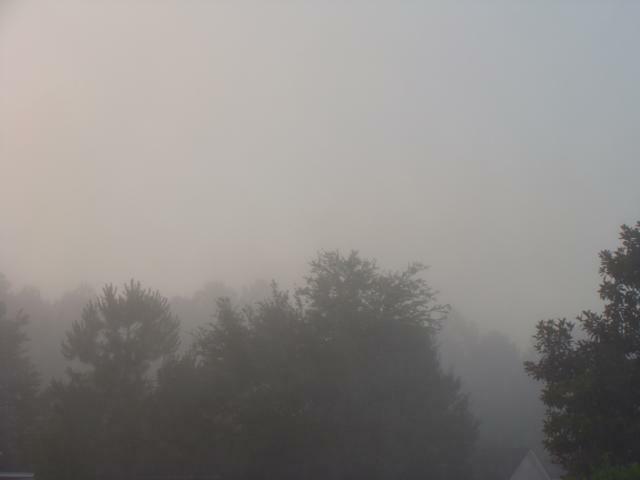 In fact, Block Island rubs in really easily. Given the zinc oxide and the titanium dioxide, it does take a little bit of rubbing to get all the “white” to go away. I especially noticed this on the more hairy parts of my body. Even with some serious rubbing, there was still a white “sheen” to me. I didn’t resemble a dark eye liner, pale white, black wearing gothic person or anything, but I did have some residual whiteness. I exclusively used the sample Block Island sunscreen over the past month. In fact, it’s the only sunscreen that we used in our house (my kids and wife used it too). Swim meets, hanging out at our pool, working out, long bike rides, yard work…you name it….if we were outside and wearing sunscreen, it was Block Island. All in all, Block Island’s sunscreen seemed to work effectively. By that I mean, none of us got sunburned. At all. And that’s a good thing in my book. The one thing that disappointed me in my month of testing? Block Island’s sunscreen isn’t sweat proof. Actually, I don’t suppose that any sunscreen is really sweatproof. The only downside to Block Island not being sweatproof is that you sweat white sweat. I guess that’s the zinc oxide or titanium dioxide mixing with sweat. I’m a heavy sweater though, and the by-product of this was some slightly unattractive sweat stains on some of my clothes. I also am now the proud owner of aero bar pad with a white titanium dioxide stripe in them. 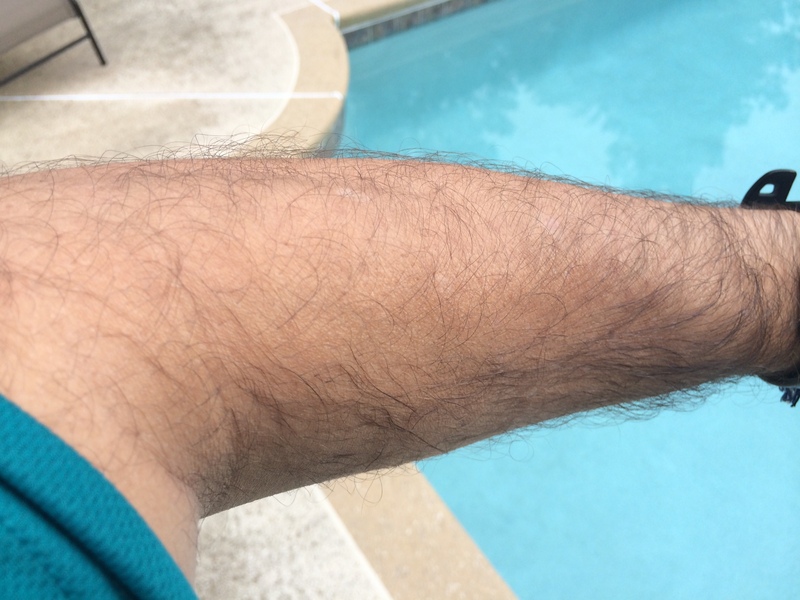 That being said – these cosmetic (no pun intended) issues I had in no way seemed to diminish the effectiveness of the sunscreen. Overall, I liked Block Island’s sunscreen. 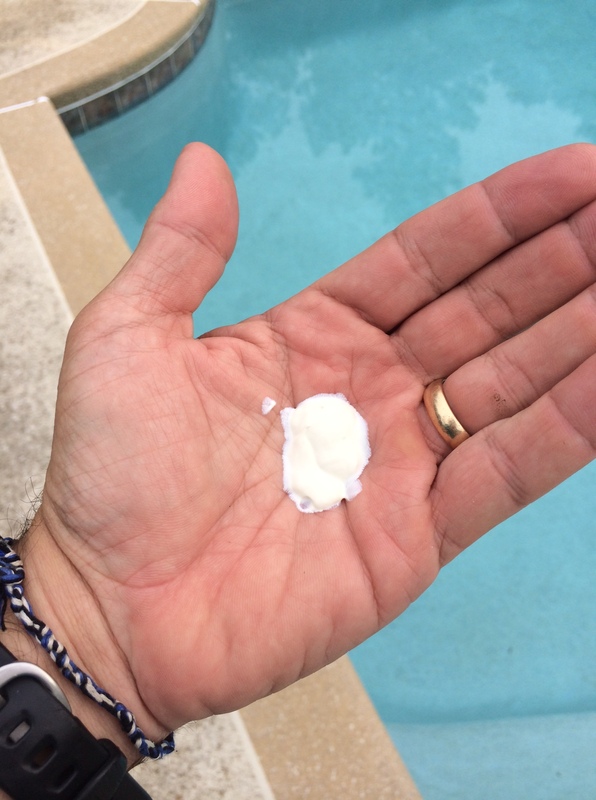 At first, I was a little gun-shy about using a “non-commercial” product, but after I did my research and learned about some of the chemical compounds in commercially available sunscreen my concerns were buoyed. I like the idea of not exposing my body to any more yucky stuff than I need to. Would I buy this product for my family? That’s a little more difficult question to answer. While my heart and mind tell me that I should buy an organic sunscreen like Block Island for lots of the reasons I have spelled out in this post, the miser in me tells me that it might be a little difficult for me to spend more than $20 on a relatively small bottle of sunscreen given how much sunscreen my family uses and how affordable other (non-organic) products are. Luckily, Block Island seems to go a long, long way – the bottle that they sent me is no where near even halfway empty. And even more importantly – if you compare Block Island against other organic sunscreens, you’ll find that their price point is VERY competitive with others. The bottom line – if using an organic sunscreen is important to you, then Block Island is a good alternative for you to consider. FTC disclaimer: I was provided free product by Block Island for the purpose of this review. I was not compelled or required by Block Island to write a favorable review in exchange for this product. I am not receiving any additional financial compensation for the review or for any sales generated using the promo code noted above. All opinions expressed herein are mine and may not represent the opinion of Block Island, Revolution 3 Triathlon or any other company providing sponsorship consideration to me. Imagine this scenario. A cyclist gets run over by a vehicle and is left with a broken back. Allegations are made that the driver of the car was texting and/or distracted just prior to the accident. The cyclist needs surgery and months of rehab. That scenario plays itself out literally weekly, somewhere in the world. What perhaps makes this situation slightly different is that not only was the driver clearly texting while driving, but that she was more put out by the fact that the cyclist had the audacity to cause some damage to her car as a result of the collision. Here’s the backstory – Kimberly Davis, of Port Fairy, Australia, pleaded guilty earlier this week to dangerous driving as a result of her collision with cyclist. Phone records showed that Davis had texted 44 times just prior to the accident (with a text message being received less than a minute prior to calling emergency officials indicating she had hit a cyclist). The cyclist was critically injured and suffered a severed spine. He spent three months in the hospital recovering from his injuries. Davis was fined $4500 and lost her license for 9 months. What makes this whole situation worse is that Davis had the incredulity to not show any remorse, and moreover to be upset with the cyclist. There are a couple of issues associated with this that concern me. The first is obvious: distracted driving causes accidents. The second is the clear lack of remorse that Davis had. There’s likely nothing that can be done about the later concern, but there certainly can be things done relative the former. First and foremost, distracted driving should be a primary traffic offense. Police should be able to pull over and cite drivers for nothing other than distracted driving (texting, SnapChatting, Facebooking, even just calling). In far too many jurisdictions, texting while driving is a secondary offense. In Florida, for example, I can get a $30 fine for texting while driving (totaling about $100 when court costs and fees added) – but I can only get that ticket if I am pulled over for some primary offense – like speeding, careless driving, DUI, etc. If state legislatures and governments pass laws or ordinances changing this offense to a primary offense and make the fine prohibitive, then there may be a corresponding decline in the incidence rate of drivers committing this act. In my opinion, cycling can be tough enough of a workout. We don’t need to continuously be on our guard for distracted drivers as well. Throwback Thursday is an internet phenom right now. It’s fun to look back at pictures from days gone by. Seems like a fun concept to apply to blog posts, too. Back in November 2011, I wrote the following blog post, and it turned out to be one of the most popular posts I’ve ever written. It’s been read more than 600 times (from my blog alone), shared on Facebook, Twitter & re-posting on other blogs more than 100 times. I received more emails and feedback on this post than almost any other post. So…I guess the sentiment expressed below struck a chord with folks. You and I, we have a history. I’ve sweated and swam, biked miles upon miles, and ran like Forrest Gump. All in an effort to overcome the races you’ve lain in front of me. Not just once, but several times. Orlando. Panama City Beach. Louisville. They are familiar territory. A few good memories have come from my pursuits there. More of them have been ho-hum. Once I was pleased to hear Mike Reilly proclaim that I was an “Ironman”. It’s not you…..it’s all me. I’m tired of swimming with two thousand friends. I don’t like drafting when I’m supposed to be racing. I don’t like feeling like a customer. Triathlon isn’t about those things. At least for me, it’s not. Triathlon is about the challenge. Feeling like you belong at a race – regardless of whether you’re the first finisher or the last. I like spectacle and boisterous finish lines as much as the next guy, and while you’re good at that, others are equally good – if not better – at it than you are. I want to feel valued as an athlete. Part of the family. Cared about. Loved. And you, well, you don’t do that anymore for me. I’m just a tick mark on your headboard. Another zero on the balance sheet. Another person to sell logo’d merchandise to for too high a price. We’re done. I know you’ll find others. People will constantly clamor for the “notoriety” that comes from doing one of your races. Good for them. I’m in this for something more now. Good riddance. I’ve got a new sweetheart. She may be a little younger than you, but she’s better in oh so many ways. Her name even sounds cooler……Revolution3. Change. New. She’s all that. So we’re breaking up. Have a nice life. If you are on Twitter at all, chances are that you’ve seen some pretty witty or solid or even epic Tweets. I know that I try to be fairly entertaining at times. But I know that I’ve never Tweeted something out as good as the one below. To me, this one just about takes the cake (at least in terms of Triathlon-related Tweets). 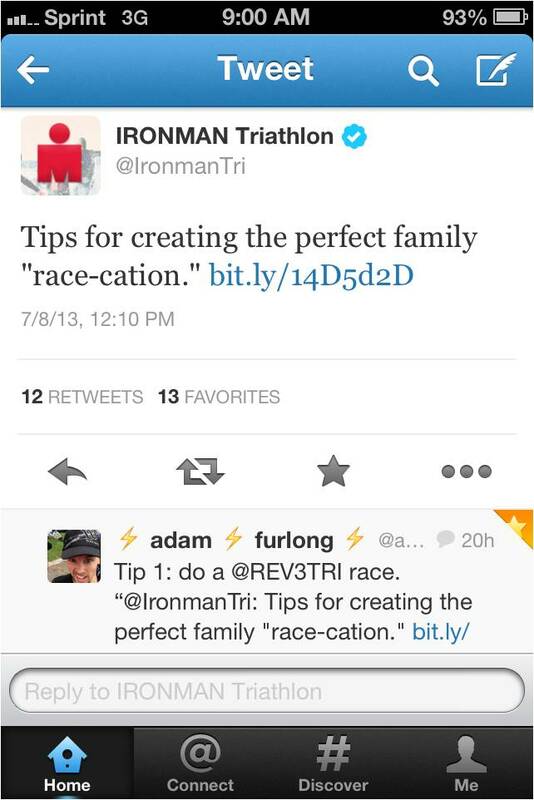 The back story is that the other day, Ironman Triathlon tweeted out a link with what they thought were tips or best practices for making a triathlon a perfect family “race-cation”. The VERY first response to that Tweet was the one below. Making it even better….not just the first, but ALL of the responses to this Tweet are of similar nature. I guess the responses that Ironman got weren’t exactly the ones they were hoping for….but they are SO the truth!